« We’re Number One…Or Are We? The League of American Bicyclists (LAB) announced its 2015 round of new and renewing Bicycle Friendly Communities and Ellensburg joined the ranks at the Silver level, while Bellevue, Port Angeles/Clallam County and Jamestown S’Klallam Tribe entered as Bronze level communities. 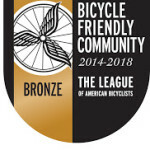 Tacoma, already a Bicycle Friendly community, retained its Bronze status. 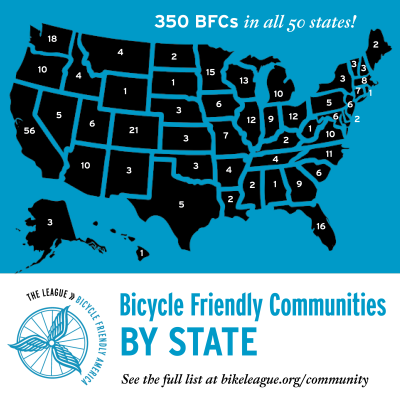 This increases Washington state’s number of Bicycle Friendly Communities (BFC) to eighteen—nearly double what it was just two years ago. Washington communities ranked in this round represent over 10% of the 42 new and renewing BFCs being announced by the League. Washington has also been ranked the most Bicycle Friendly State in the nation eight years straight by LAB. Ellensburg has the highest bicycle mode share (5 percent) of any Washington community. Its small town flavor, miles of scenic backroads, and the John Wayne Trail have sparked an interest for bicycle travel and tourism. Bellevue is busy working on significant bicycle infrastructure improvements, including the addition of bike lanes to West Lake Sammamish Parkway and missing connections to the SR 520 corridor, and the installation of bike counters. Jamestown S’Klallam Tribe is the first tribe to earn a BFC designation. Much of their bicycle work has been focused on the development of the Olympic Discovery Trail across tribal land. The tribe also hosts a summer Bike Camp, a week-long day camp aimed at giving young riders basic bike handling and safety skills and riding opportunities. 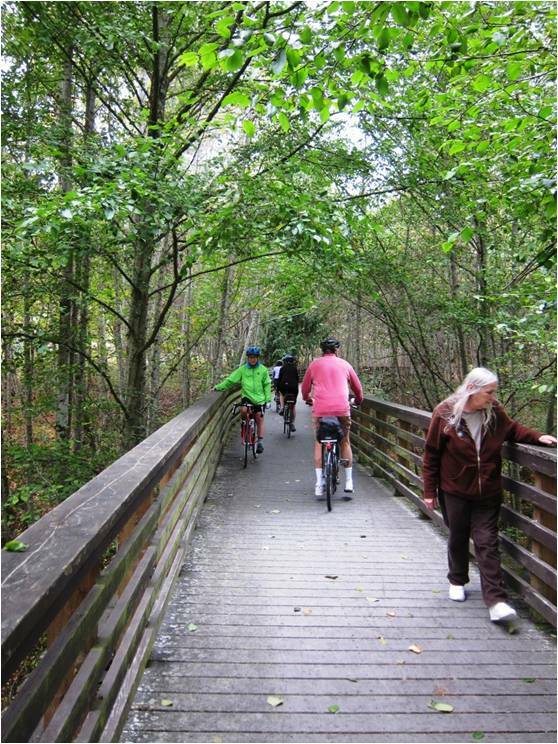 Port Angeles/Clallam County, with active bike and trail advocacy groups, is making great strides to complete their portion of the Olympic Discovery Trail and call out their region as a bicycle travel destination. Over half of all schools offer bicycle education to students, making use of the Safe Routes to School bike/walk safety education program developed by Washington Bikes. Tacoma opened 13 miles of bikeway in 2014 and continues to implement projects identified in its Mobility Master Plan. 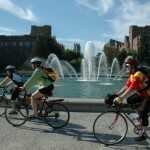 The city has a diverse and active bike community, which includes monthly Kidical Mass rides and a community bike shop. We’re Number One…Or Are We? 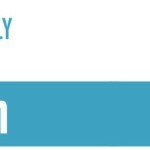 This article was posted in Economic Impact, Encouragement, News and tagged Bellevue, bicycle-friendly, education, Ellensburg, Jamestown S'Klallam, John Wayne Trail, Olympic Discovery Trail, Port Angeles, Tacoma. Bookmark the permalink. Follow comments with the RSS feed for this post. Both comments and trackbacks are closed. I am constantly amazed at Washington’s ranking as the most bicycle friendly state. The atmosphere here in Clark County must be considerably different than in other parts of the state, both in the attitude of drivers and the development of bicycle infrastructure. I find a much more friendly environment when I cross the Columbia river and ride in and around Portland. Also, any state that continually refuses to pass a law requiring a minimum safe passing distance does not, in my opinion, even deserve an honorable mention!